LEADERCAST WOMEN 2018 - SOLD OUT! We are excited for tomorrow's sold-out event and hope you are ready for an amazing day of leadership, growth and commaraderie! You will be required to check-in at the front desk upon entering Isagenix. A roster of all attendees has been provided. You will also check in at the Gilbert Chamber registration table at the entrance to the auditorium where you will receive your "swag bag", journal and door prize. You will need to wear your Isagenix name tag throughout the entire program. Breakfast, lunch and snacks are provided. Over 40 door prizes will be given away! Raffles tickets are available for purchase - 1 ticket for $10, 3 tickets for $25 or 5 tickets for $40. We are raffling off $200 in Southwest Airlines Gift Cards, a beautiful gift basket - "What Every Woman Needs & Deserves" including: Massage, facial, nails, wine, chocolate, tea, Olive Mill products, gift certificates - valued at $450 and a beautiful cultured stone necklace from China. Cash and card will be accepted. 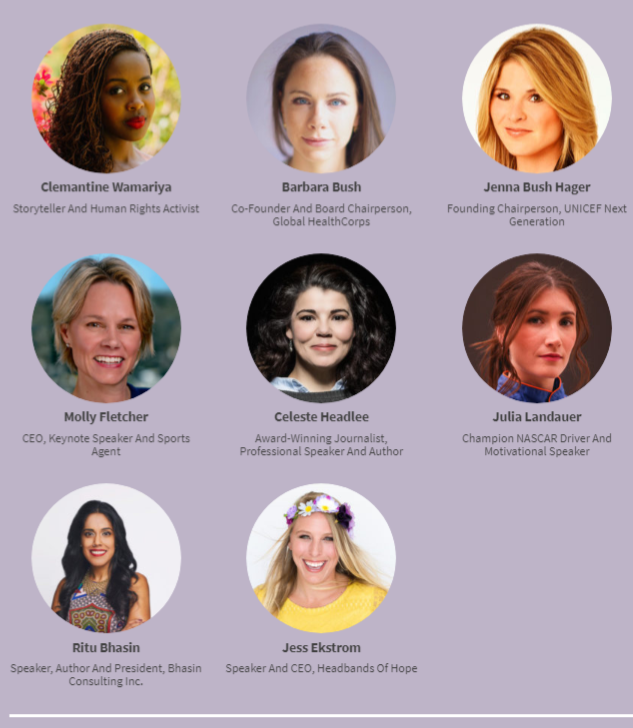 Leadercast Women is an event that will change you, not simply with 'how to' advice that will make you a better leader, but also with long-term lessons in life and leadership that help you grow into the person you've always aspired to be. *More speakers to be announced soon! Technology Failure: The Gilbert Chamber of Commerce is not responsible for any internet connection failure due to issues with the host locations ISP (Internet Service Provider), any interruption(s) due to fiber cuts or any other physical damage on the "last mile" connection (the connection from the telecommunications demarc to HOST's on premise wiring), any on-site malfunctioning of equipment (including, but not limited to, routers/firewalls, cabling, computer equipment, servers, etc. ), or signal interruption(s) due to acts of God, power failure or any other cause beyond reasonable control. Leadercast is a simulcast and all tickets are non-refundable.